Winnie Lane passed from this life Saturday, February 2nd, 2019. Mrs. Lane was a lifelong musician, performing on piano and synthesizer for family and friends. She loved baking and sharing her famous pecan pies with friends and neighbors. 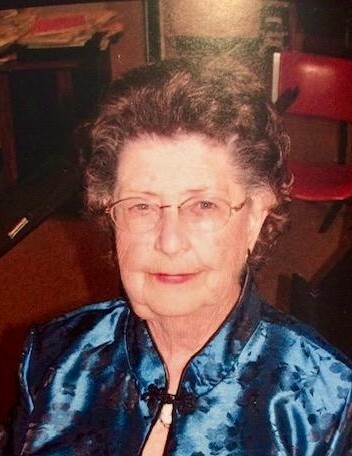 She also was a longtime active member of Ballardsville Baptist Church. She will be dearly missed. She was preceded in death by her husband, Kenneth Lane. She is survived by her four children; Ronnie Lane (Julia), David Lane (Jan), Danny Lane (Sharon), and Ellen Lawson (Jackie). Mrs. Lane was the proud grandmother of 10 grandchildren and twelve great grandchildren. Rest in Peace, Mamaw and Mom.